Jeanne is originally from Cleveland, MS and has lived and worked in the Greater Jackson area since 2005. After graduating from Millsaps College with a Bachelor’s degree in Business Administration, Jeanne became a Registered Representative with Cambridge Investment Research Inc, a Broker/Dealer, member FINRA & SIPC. She holds Series 7 and 66 Licenses and is registered to sell securities in Mississippi and Alabama. She is also licensed to sell Life, Health, Accident and Long-Term Care Insurance. Jeanne strives to assist each client in developing a customized plan to meet their long-term financial goals. 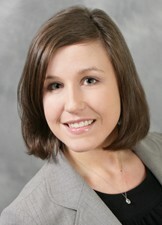 She utilizes a comprehensive approach to providing services for each client. Although her concentration lies in assisting PERS employees and other individuals in the area of retirement planning, Jeanne takes great joy in working with young individuals and families as they embark on the journey of financial decision-making.